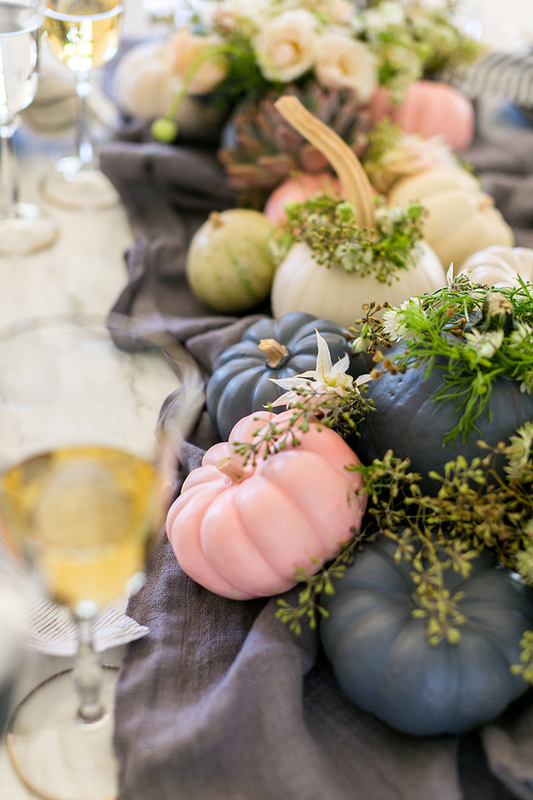 Spray paint can completely transform simple pumpkins into a work of art. 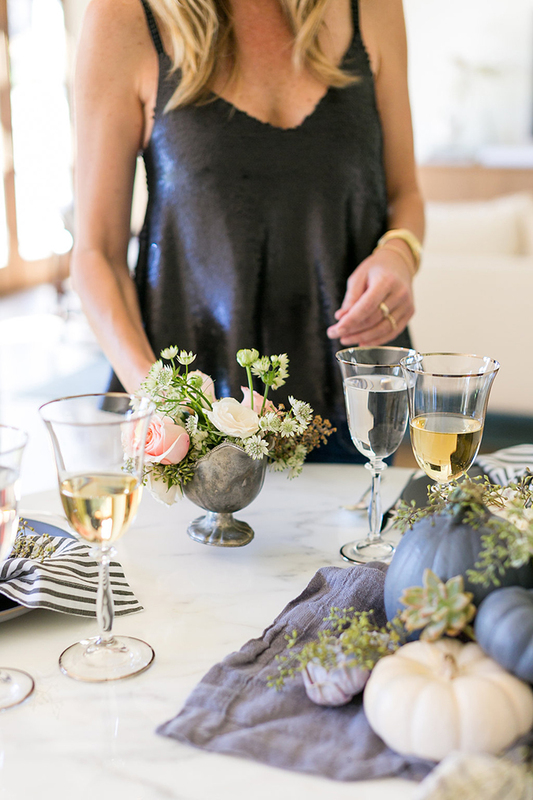 It also coats the pumpkins much more evenly and dries more quickly than other types of paint. 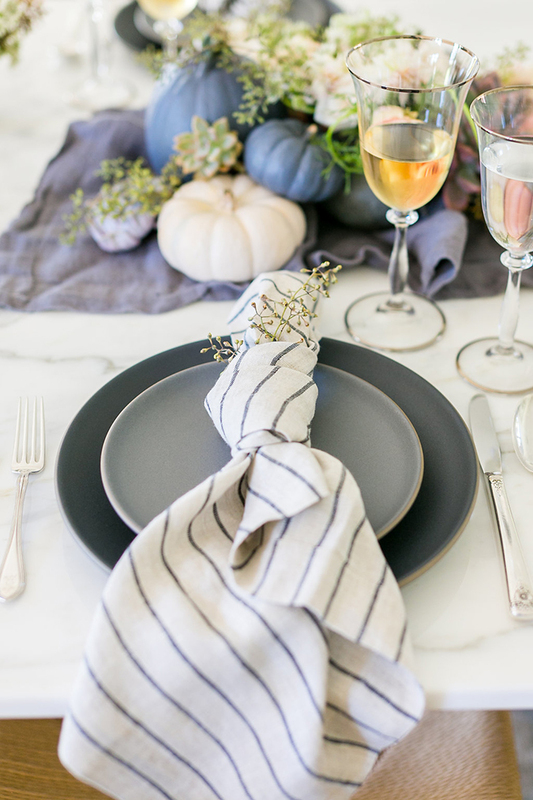 Don’t feel limited to a traditional Turkey Day color palette. 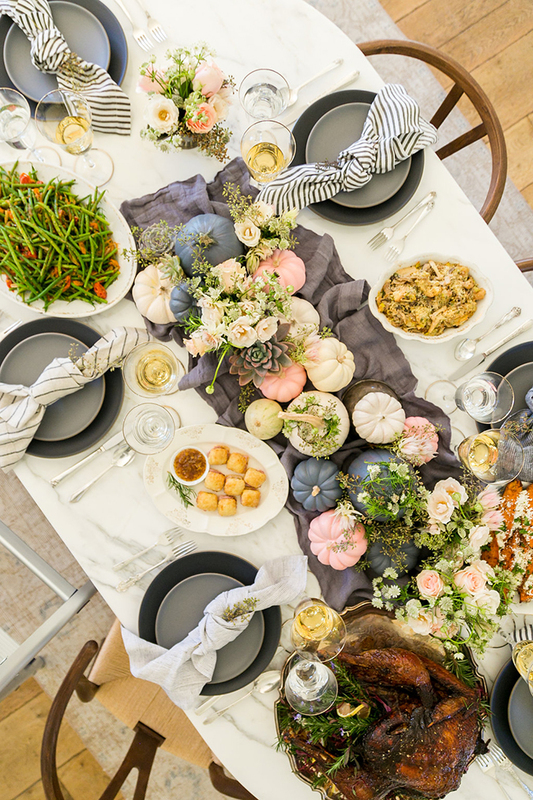 By adding in some traditional Thanksgiving elements like pumpkins, formal silverware, etc., you can get a little more creative with the colors you use. 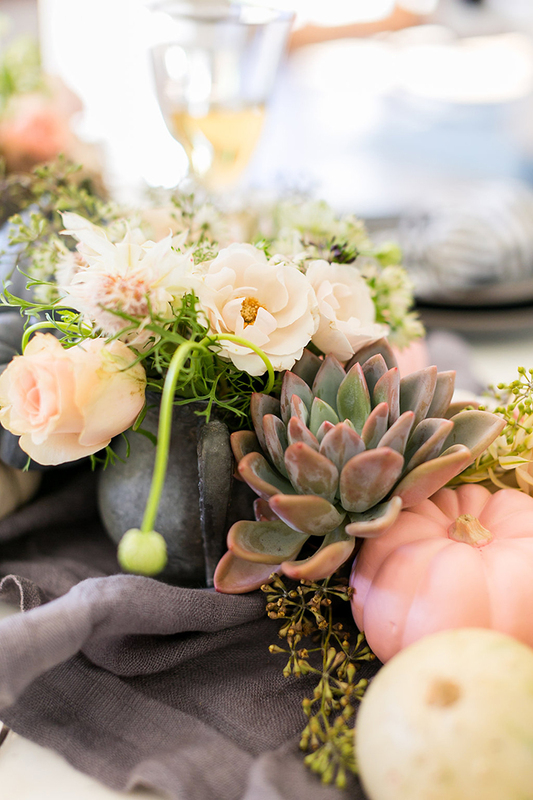 Use traditional vessels like gravy boats as vases for a fun twist. 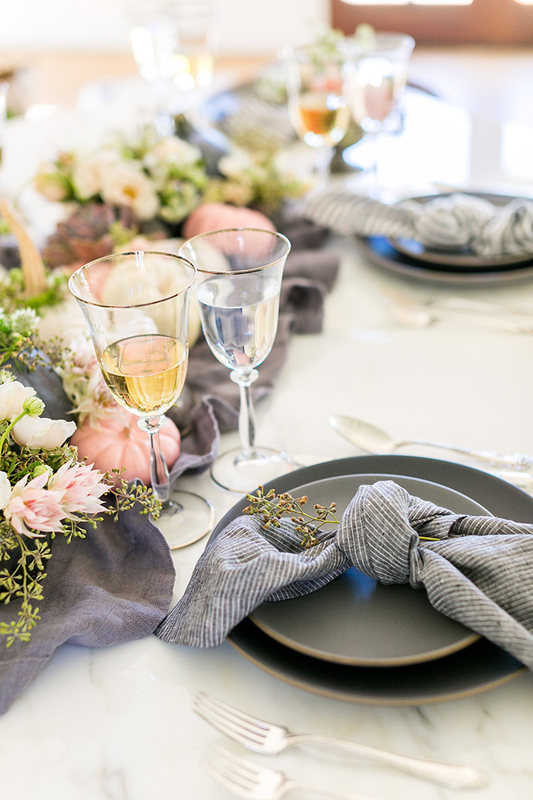 Keep your centerpiece low enough for everyone to see over it to encourage conversation during dinner and make it easy to pass food around. 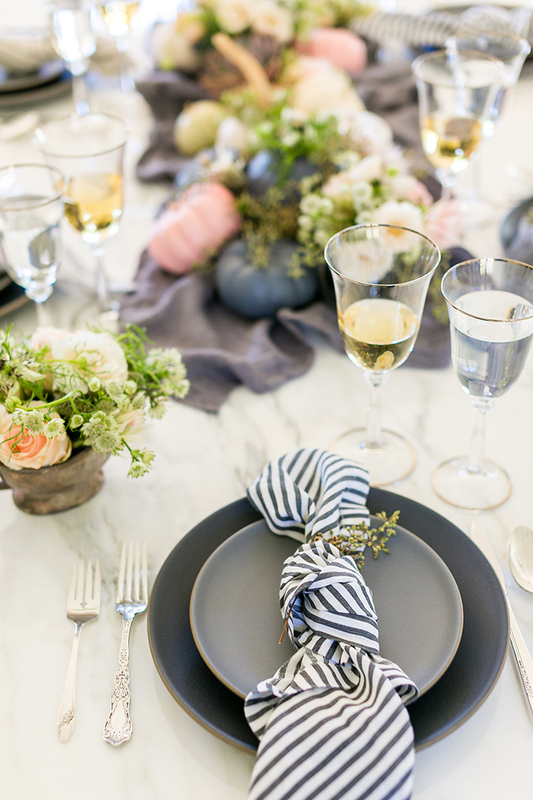 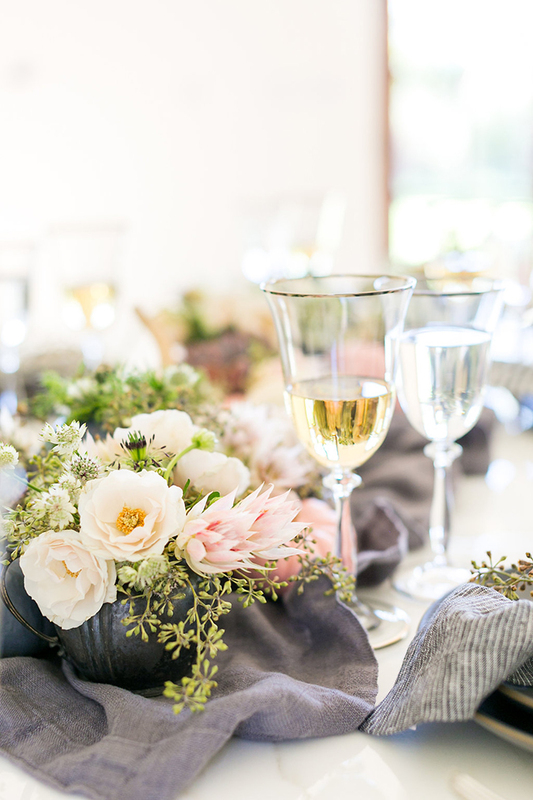 Try knotting your napkins with a sprig of greenery instead of a formal fold for a more organic look. 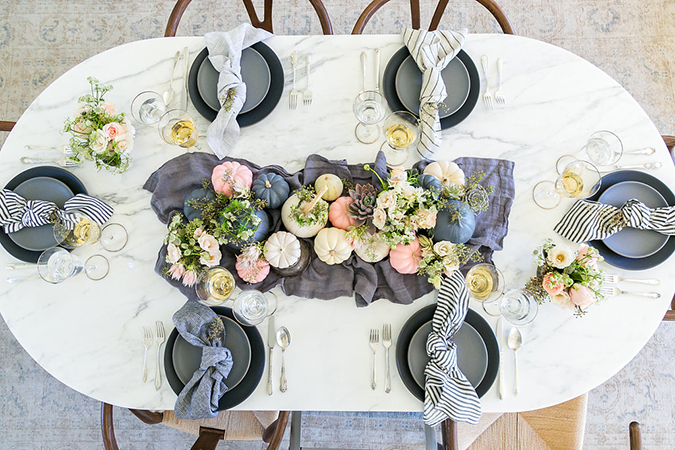 If you loved this tablescape, take a peek at Kate’s ombre table and our Turkey Day table from last year! 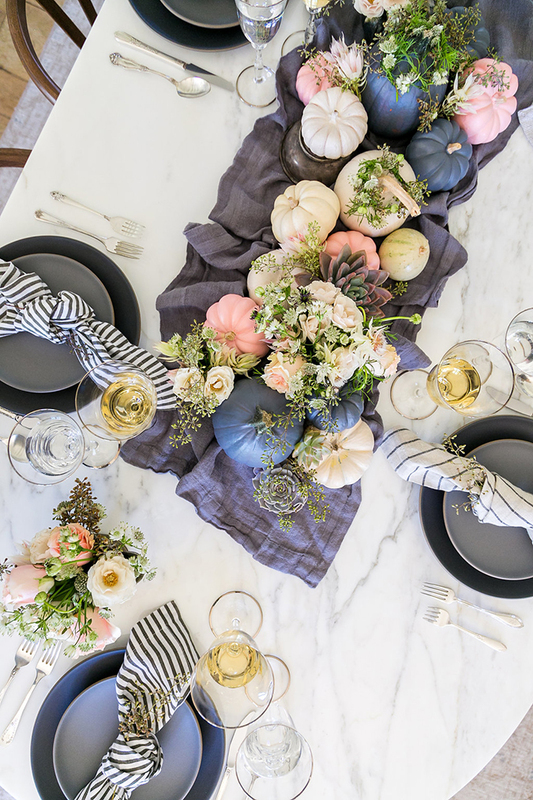 What will your Thanksgiving décor look like this year?